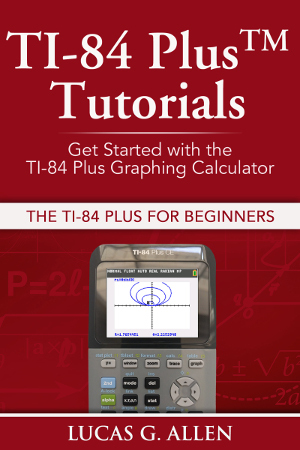 With the start of the 2016-17 school year already upon us in some parts of the United States, I’ve just released new editions of my Kindle tutorial books about the TI-Nspire and TI-84 Plus. Since the TI-Nspire has seen a couple of updates to its operating system over the last couple of years and the TI-84 Plus CE has been released, I’ve wanted to do this for a while, but have struggled to find the time. The books have been updated to reflect the changes to ecosystems for these calculators, and I’ve also added new covers that I hope readers will find an attractive update. If you have already purchased a copy of these books, you can get the new edition for free by following these directions at Amazon. 2) If you’ve never purchased the books, but would like copies, hold off just a bit longer. I’m still working out the details, but I’m going to run some special promotions on Amazon next week. I’ll give you the opportunity to get them for free, or close to free, and I’ll let anyone who follows this blog on my social media channels now about it when it happens.